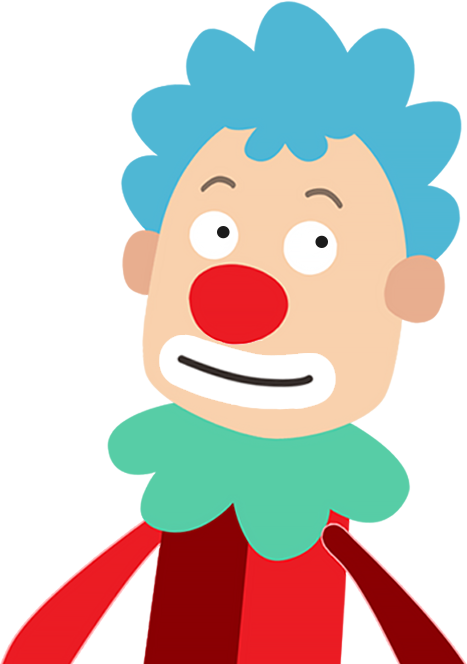 CrazyTalk Animator (CTA) brought the power of 2D face creation and facial animation from CrazyTalk to a full body 2D character with scenes, props, cameras and a stage to bring it all to life. Now CrazyTalk Animator is growing again and this next version is evolving the power into a robust 2D animation studio that deserves its own unique brand. Reallusion now is ready to start unveiling the next exciting features to elevate 2D animation production with intuitive character creation, smart animation and live performance capture. Reallusion introduces, Cartoon Animator 4 (CrazyTalk Animator) with all the favorite crazy features and many new tools to easily approach animation or innovate existing pipelines. This WIP 1 demonstrates how Reallusion made 2D Character Animation more precise, powerful, yet more intuitive. Say goodbye to foot sliding, sinking or floating problems, the new Smart IK/FK system not only switches automatically, it makes creating amazing cartoon animation so much easier. Posing with locking end effectors gives you power to precisely animate characters with scene interaction. 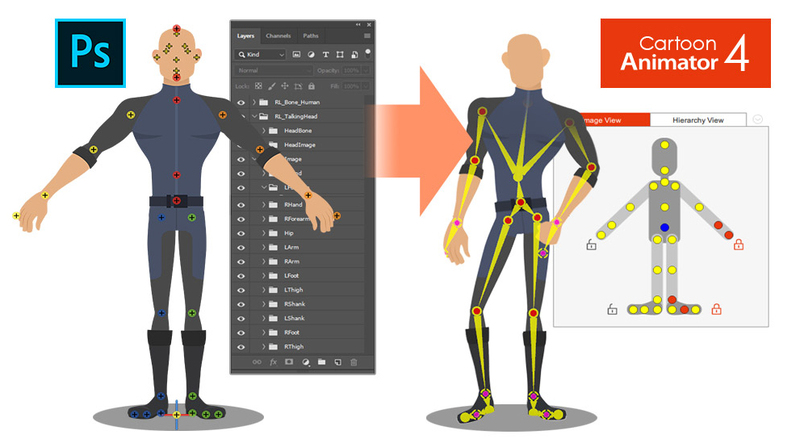 In addition, you can perfectly adapt motion files with different body shapes from our motion library, even fine-tune the character's stride or alter its motion genre. HOW TO GET CARTOON ANIMATOR 4? Upgrade to CTA4 with the member price upon its official release. * FAQ. Reallusion reserves the right to make any necessary changes. 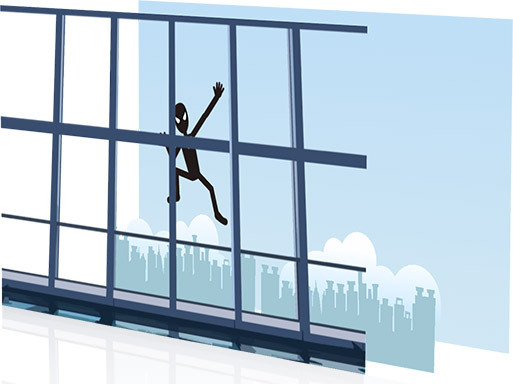 Simple and functional design sets Cartoon Animator apart from other 2D Animation tools. The intuitive 2D in IK / FK system auto-switches invisibly so character posing for animation is a fluid, and logical process. Just lock the character feet to have perfect non-sliding foot contact, and lock the character’s hand to get a precise interaction with props or scene. Stretches, squatting, and hip rotation made simple by moving the hip bone. Easy-locking feet and hands for unlimited motion possibilities. Position character end effectors for precise IK interaction. Keep or Flip Joint Bend Direction during animation editing. Drag-and-move end effectors for IK editing, directly rotate joins for FK editing. Intuitive pose-to-pose editing without switching IK and FK modes. One transform timeline track can keep End Effector Constraints and it’s Effective Range. Set keys only to Selected Body Parts, or to Full Body motion layers. Freely extend any character’s end segments - head, hands and feet. Rubber-band stretch midpoint segments like elbow, waist, knee. After releasing stretching, the segment can resume to its original length. Stretch neck and torso parts by locking hands and feet. Smoothly interpolate stretch animation, and add Motion Curve for timing control. Lock hands and feet to precisely interact with scene objects. 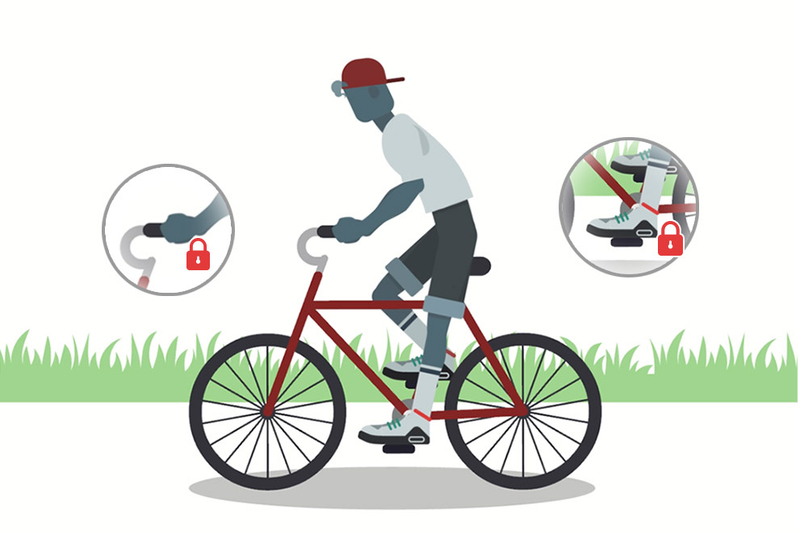 IK Constraints - use “Keep End Effort Rotation” to tip toe or bend wrist, or use “Keep End Effector Angle” to sustain feet angle on the skateboard or bicycle pedal. Use “Keep Bend Direction” to ensure character’s elbow or knee always bend at the right direction. Lock hand and feet to make stable spider-like crawling movement. Correct backward knee bend animation for quadruped animals. Use Shift+drag to alter the bone length between two bone segments producing a uniform transform effect such as the gorilla arm movement. The same effect can apply to breathing or neck-stretching animation. Use End Effector Rotation to easily let the dog naturally sit down. Unique animation feature translates motions automatically to various character styles with different body scale. Smart Motion Retargeting correctly applies the collected motion files to different body shapes, automatically aligns characters to the motion’s pose regardless it’s initial pose settings, innovatively creates different motion performance styles. No more Foot Sliding, Sinking, or Floating problems caused by characters’ bone scale difference. Library Animation applied perfectly to all types of template characters. Works with all Template-based Motion - human biped, quadruped, wings, spine bone. Auto-align character bones to the Motion Data pose, regardless of the character’s initial pose setting. Recalculate character’s Initial Pose Offset for accurate animation editing. Change characters’ foot stride, or arm reach distance by altering the overall Motion Data Scale. Adjust individual End Effector bone ratio for precise character to object interaction. Show Motion Data (blue) vs. Character Bone (yellow) for easier motion optimization. 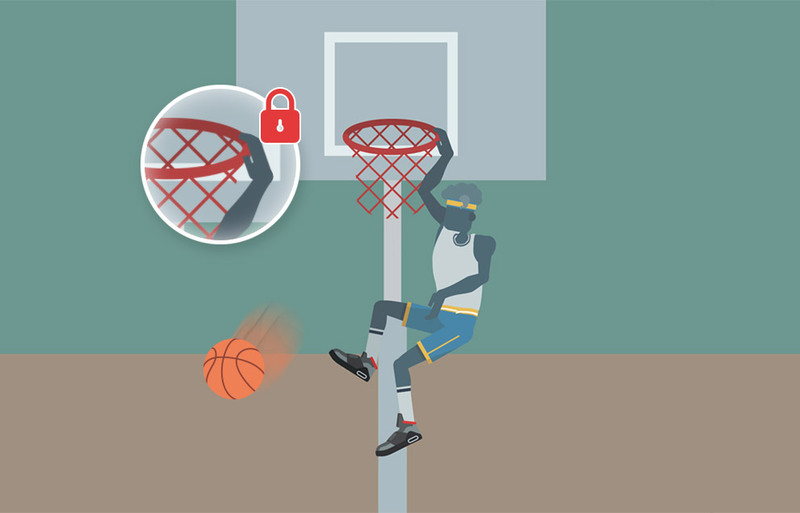 Generate IK-ready 2D animated characters, CTA4 provides standardized IK Controls for template-based characters. We’ve also added the Auto IK Rig for Photoshop Imported characters. For custom created free-bone characters, now users may create a custom GUI from the Custom Rig GUI. Auto IK Rig for Imported Photoshop Template Characters (PSD). Works for All Character Templates - Human, Quadruped, Wings, Spine. 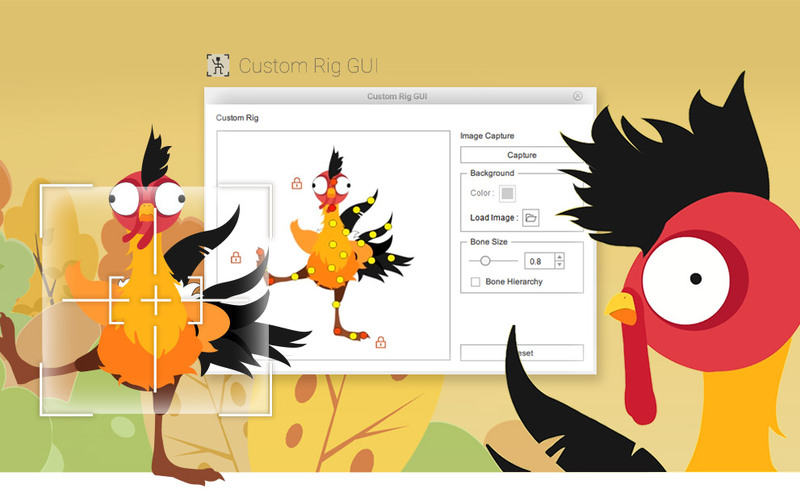 Snapshot a Character with a Custom Pose to create a Character Rig GUI. Import an image file as a custom rig image. Move and place End Effector Locks for ideal layout. Specify Bone Size, Segment On/Off in the UI display.